A number of people have told me they believe Steve Jobs is the most influential person on the Internet. If that’s true, what does that make Gizmodo editor Brian Lam, the journalist who lit the fuse on “antennagate,” thereby influencing Steve Jobs to acknowledge the flaw that led an unspecified number of iPhone 4s to drop phone calls? It’s certainly reasonable to argue that Gizmodo’s coverage piled much straw on Apple’s back, perhaps even to the breaking point. And it will cost Apple an estimated $175 million in free phone bumpers and cases. At any rate, one can assume that Jobs is chagrined that the company Apple has threatened to sue (over its temporary possession of a prototype iPhone 4) was partially responsible for last Friday’s worldwide press conference/apology. How this happened is an intriguing case study in how influence flows. Gizmodo, of course, had no inside access to Apple, and (because of the prototype controversy) was under the gun throughout its reporting on the antenna flaw. In fact, as he explains here, Lam intensified Gizmodo’s coverage of Apple after the lawsuit was filed, despite the obvious complications. The unspooling of that coverage speaks to the influence blogs like Gizmodo have on the mainstream media. On the day Gizmodo broke the antenna story, Consumer Reports happened to issue a press release declaring the new iPhone 4 “Awesome!”, mimicking most of the fawning coverage in mainstream media. Two weeks later, that coverage had changed savagely, all because of the little tech agitator that thought it could. On the advice of his lawyers, Lam wouldn’t speak about the prototype issue. But he spoke freely about feeling vindicated by the free bumpers and cases that Apple has offered iPhone 4 owners, his fear of what he calls an impending soft recall of the iPhone 4, and how sometimes loving something means criticizing it to make it better. Mark Borden: Can you explain the events that led to Gizmodo’s involvement in getting Apple to hold last week’s press conference? Brian Lam: Apple’s always had a roster of favorites. I never suspected it was dirty, and I still don’t think it’s dirty, but at one point, we had achieved that status. There are always these favorites and I never wanted to be one of those guys. I have ideals about what good journalism is–like the book The Journalist and the Murderer— and I respect people who do great inside pieces and get great access. But this is a whole other level because it is really commercial and I’ve seen it happen where people pull a lot of punches because they are too close. That’s what happens when you have one really narrow beat. You can get too close. But here’s the other thing. We got pushed away from being very, very liked to being very unliked in a powerful way. I’ve never seen this kind of reaction from someone in the industry. Did you see the All Things D with Steve Jobs? There was a strong level of hate directed at Gizmodo. And I don’t think Steve realizes that we’re trying to give readers a service to help them decide whether they should make their next purchase. So how does that translate into your antenna coverage? The bumper thing and our coverage after Apple started giving us the cold shoulder, it all came from the fact that we didn’t have any access. So we needed to hit the ground a little harder. So we spent more time looking for sources. I knew our job would be harder without access, but I knew we could do infinitely more and better and different and differentiate ourselves. So when we got pushed out, we started hitting our readers a lot more for what they thought. The bumper issue came up through one of our favorite sites, MacRumors. They’ve got an amazing community, so that along with the Apple support forums, we started intensely following these great sites with these strong communities, and our editor Jason Chen, who did most of the breaking of this story, saw people were complaining about things. Of course, even with the video proof, we weren’t sure it was big enough. But we had so many updates on the antenna problem, and from our personal experience and from these tests, so we thought something was going on. Apple’s response in the press conference was pretty remarkable. It had a feeling of openness and transparency, things not normally associated with the company. 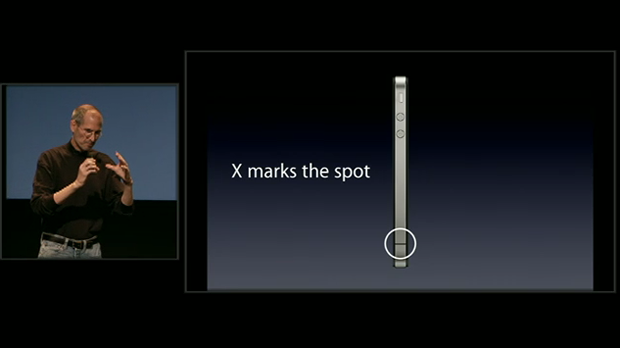 Apple’s press conference also distracted from some of the issues, like they always do. “It’s not a big deal, but here are some bumpers, just in case.” They have hard data–who knows if it is real or not–but let’s assume they’re telling the truth. As far as our data goes, it’s no better because it is anecdotal. Even if it’s 50 users, it’s 50 out of 3 million, right? But I guess our coverage was causing enough noise that they had to address it and they had to come forward. Sure they have over $100 million in test equipment with beautiful foam chambers that block radio noise, they’re very impressive. But despite all that, they still had problems, so what’s it worth? But what’s also impressive is that they admitted the iPhone 4 drops more calls than the 3GS. That’s telling and I don’t care how much test equipment you have or what process you go through. Sure they are very thoughtful and I know the company, they are always going to do what’s right for consumers. But there are lots of recalls that took much longer than 22 days. Like the white MacBooks had cracks in the plastic and were only recalled years later, long after people had lots of frustration because Apple didn’t have a policy in line. Time Capsule is another one. It had power supply issues. That’s a backup machine, if that fails, that’s scary. 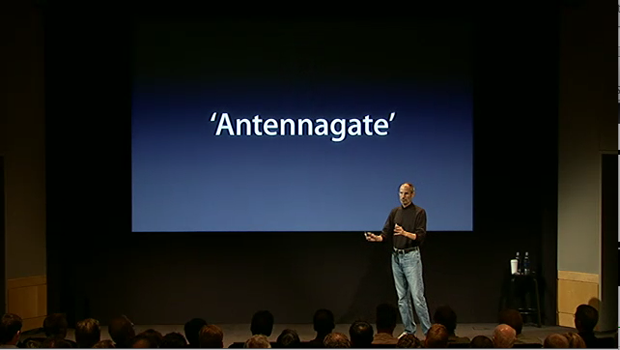 Do you think your coverage helped get the mainstream media interested in the antenna? I think we did. I think our coverage was really far reaching and I think that even before some of the mainstream publications drove the point home–with Whoopi Goldberg literally slamming the phone on her morning show–it definitely got into the mainstream consciousness. So am I going to take credit? No. News is collaborative and we played an important part in pulling that information from the forums into a solid place and repeatedly covering the story. But initially we also had a lot of critics in the media who sided with Apple, saying it’s only a few devices; it’s not all of them. Still, it’s my job to err on the side of caution. I’m going to report these small instances, even if we’re doing it out of proportion to the fact that the phone is still amazing–and it is and we said that many times. But I’m going to err on the side of public good and I don’t think that’s what a lot of people criticizing us understand. I see the part we played as getting information from the people to the mainstream pubs, it’s up to others to decide how much influence we had. My whole staff thought it was actually all about us. But I actually said to them, don’t be egotistical. This is something maybe we helped start in a big way, but it’s about the people, about all the press that picked it up. It’s about everyone except the apologists. To the apologists, it’s like, if you love them that much, what’s so hard about challenging them too. I just don’t understand. I appreciate the team talk and you trying to share the credit, but maybe your staff is closer to being right on this. I agree, but to be honest the truth is, the power … it’s like, for their own sanity I don’t want them writing about a company they feel is … it’s like there are politics involved, and I’m urging them to stay clear of the politics when we’re reporting even though we have our own personal history with them now. I don’t want it to color our work. We are at such a critical junction where we have this attention from the big scoop a couple months ago. Now it’s critical that we do really, really good work and that involves being impartial and cold. So what do you think of the result? I feel like we forced them to acknowledge this and I’m happy we got them to acknowledge an issue. Apple is a good company and we expected them to, but we were not going to leave it up to them. That’s our job to bring these things to the surface. I feel like Jobs’ presentation was angry and I don’t think he should think of it that way. They got an opportunity to get their data out there and they showed the data that revealed their customers to be quite satisfied. But they also skirted some facts. Then Jobs didn’t talk about it. Between skirting that and giving away the bumpers, I just think they do have a problem and they’re going to have to address it eventually. We’re going to give them a little bit of a break, but we’re going to keep pushing because it seems like no one else wants to get their hands dirty. Do you consider Gizmodo to be something of a black sheep, doing what others won’t? When they gave me really good access, I started hating myself. I didn’t want it. So now it’s like, instead of rewriting press releases, I’m going to hire someone to dumpster dive and hopefully get some good stories and I feel like a more legitimate journalist this way. I do, but I have to say, I am looking out for the next thing. Part of me wishes they would just stop selling the phone if there is a problem. I’ll tell you what I think. They’re going to fix this by coding the antenna and they’re going to quietly roll it out and say that the problem has gone away without doing some kind of recall to save the money. At that point, and I have one of the first generation iPhones and I’ve got a bumper on mine, do I get one of those new updated ones? They don’t want to offer that, right? But maybe it’s in Gizmodo’s interest and the people’s interest if they do offer that. If they make a small hardware change, what we’re referring to as a silent recall, that’s not really fair. versus Apple. That’s probably what’s next, keep your eyes out for that. Because everyone is stuck with the phone they bought already. Yeah. And especially if, for example, they change things and make it better and knew they were going to make it better. Remember during the keynote, he said: “We’ll see what happens after Sept 30.” What could that be? But yeah, it’s nice to get 3 million people $30 bumpers, especially if it fixes the problem. What do you think is the bigger issue here? I think it comes down to this: A phone should be able to make calls no matter how you hold it. That’s a good basic thing to ask for. Sure, only a few people complain, but maybe people don’t know enough to complain and maybe that says something. Maybe Apple is right, it’s overblown, but maybe its because people don’t notice. And it’s confusing because there is so much criticism around AT&T’s network, which must play into this. I think people have learned to live with terrible things. Bad reception, for example. I think we’ve been trained for the last three years with the other iPhones to say it’s okay, it’s no big deal that you drop all the time. But is it really okay? Step back and think about it. I’m going to say it’s not. This one it was especially not because it is worse than the other ones. In the Q&A Jobs said, to some laughter, “And we didn’t break down any doors”? If that’s not a joke big brother would make, what is? Disclosure: FastCompany.com has a content-sharing agreement with Gizmodo–sometimes we syndicate each others’ material. Additionally, several staffers here have been employed by Gizmodo. But the author and editors of this post have never worked for Gizmodo.